There’s nothing quite like watching a band you’ve followed from the start slowly morphing into something huge. Sometimes in this process, that original charm and authenticity can get left behind by lure of commercial gain and mass appeal. And whilst Anteros certainly have the propensity to be adored by all, their debut LP When We Land is still as genuine and empowering as ever. The self-proclaimed “bitter dream pop” four-piece from London draw heavily on a wealth of seminal musical influences. There’s sprinklings of Blondie, ABBA, Fleetwood Mac, and even some Florence throughout that all merge beautifully with Anteros’ own idiosyncratic indie-pop aesthetic. It’s unashamedly joyful and wonderfully bold. Performance-wise, Anteros are working as a collective phenomenon. Powerful front-woman Laura Hayden’s vocals truly shine on this record; swooning and soulful on the delicate tracks – ‘Let It Out’ – but fierce, passionate, and downright cool where they need to be, especially on ‘Honey’. Jackson Couzen on guitar also injects electricity across the tracks, accompanied superbly by Harry Balazs’ (drums) and Joshua Rumble’s (bass) intricate rhythm section. A flurry of new tracks showcases some musical experimentation. ‘Afterglow’ makes attempts to break into synth-pop with moderate success, but there’s a strange almost monkey-like sound in the background that detracts from the instrumentation. ‘Wrong Side’ has a chorus that feels like a neo-disco version of Sheryl Crow’s ‘All I Wanna Do’ (trust me it works) with its infectious, head-bopping groove. ‘Drive On’ stands as a politically charged, environmental protest about the increasing destruction of the world. “How we learned to ignore what we needed to know” resonates Hayden in an impassioned plea for awareness. Seeing the band utilising their platform for this issue is massively important, and, hopefully, Anteros will become examples for their contemporaries. Most of the classic Anteros tracks – ‘Breakfast’, ‘Ring Ring’ spring to mind – have undergone a sonic makeover. ‘Breakfast’ has the wonderful addition of some soft keyboard plunks during the intro, with both Hayden’s vocals and bassist Joshua Rumble’s rhythm feeling more pronounced than ever. This does come at somewhat of a cost, though. Long-time fans of the band will certainly be able to notice the changes to the older singles and whilst this change is inevitably for the better – and due to production improvements – the gritty, DIY vibe is much less tangible. The closing track, the eponymous ‘Anteros’ is a call back to the band’s early days and remains perhaps their most definitive release. 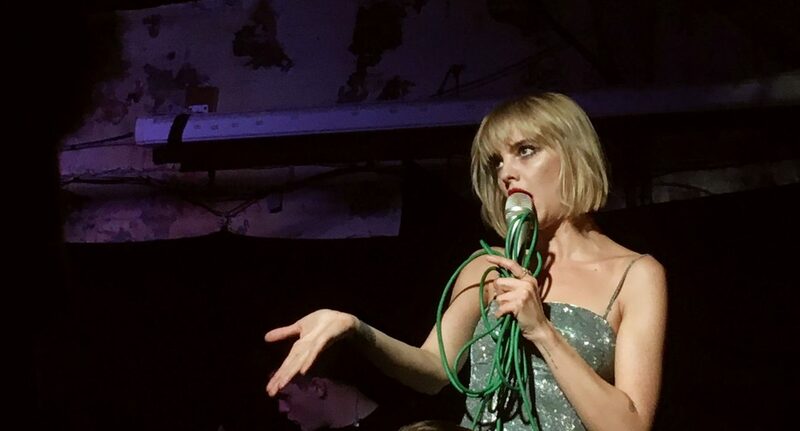 The steady build-up in the latter half of the song has always been an emotional, if not tremendously unifying climax, a notion that Anteros extend to their live performances. Whilst the LP version of ‘Anteros’ is certainly polished to studio-level quality, again, some of the rawness of the aforementioned emotion is lost in translation. Nonetheless, it still packs a hefty punch and truly feels like a perfect ending to the album and indeed the last several years of the band’s career. When We Land is jam-packed full of infectious melodies and dance-able indie tracks, although this comes at the slight expense of rawer performances. The LP has certainly been a long time coming, and throughout this journey Anteros have never lost sight of who they are. I have no doubt that this release will catapult them further into the limelight that they are truly deserving of.